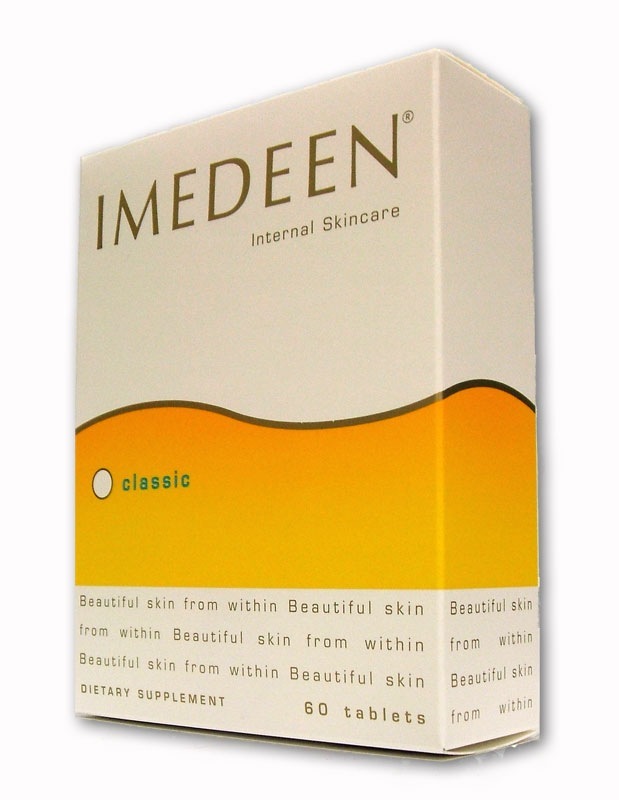 Imedeen is quiet simply, skincare in a tablet. Based on a unique, nutritious Bio-Marine Complex, Imeeden helps improve the basic quality of your skin as well as its structure and its ability to retain moisture. This produc focuses on improving your skin from within, rather than from the outside. Imedeen tablets also contain vitamin C and zinc, which are both elements vital to skin health. Just try it, and you will see the difference, your skin will be softer and more supple, fine lines and wrinkles will become less visible, and dry skin will feel nourished. Remember, Imeeden is not only benefits your face but all your skin from head to toe.Being natural, Imedeen is less likely to interfere with any supplements or drugs you are currently taking. Those allergic to seafood must be aware that the special formulation is from a marine base and therefore be aware of potential reactions.